LeapFrog is a company known for its influence in helping a child learn to read and write. 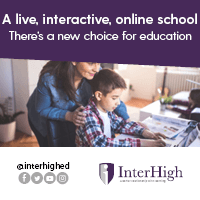 With their wide range of books, apps, tablets and so much more, there is no limit to the ways in which they can benefit your children. 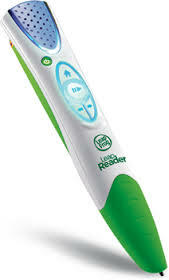 The LeapReader, LeapFrog’s official pen, will read, help your child trace letters, and easily explain phonics to your children. It works with a variety of Tag books, as well as the Tag World Map and other products such as the puzzle. The map has been a firm favourite with Ollie, who can tell us where countries are located, names of volcanoes and mountains, and list the continents. In fact, he loved it so much that he played with it so much it was worn down and had to be replaced! It even plays songs! The stories come to life and teach your children how to read in a way that they can enjoy. It can read the story word by word, and will even put on lively and entertaining character voices! You can use it to trace words onto special mess-free paper, ensuring that there will be no more doodles on the wall. We’ve found the LeapFrog products to be one of the most beneficial items when learning to read, and the LeapReader is no exception. It is great for children between the ages of four and eight, but even our two year olds loved it! The style of the pen made it easy for them to hold, as it is chunkier than the average pen. It’s easy to charge, as you can just plug it into your laptop or computer via the USB. Using it is just as easy, you just have to press the home button repeatedly until you get to what you want, whether it’s trivia, music, or audio books. From there, just use the ‘next’ and ‘previous’ buttons to find exactly what you’re looking for, then press play! The volume buttons are located on the side, whereas the power, play, home, next and previous buttons are all on the front. The songs were not only educational, but catchy too, and were left in our heads for hours. They taught the younger ones everything from the alphabet to using punctuation correctly. You can also buy other songs to put on the device from the Leapfrog Appcenter, along with audiobooks and trivia challenges. You can find out more about the LeapReader and buy your own from the Leapfrog online store or Amazon.